December 7th-13th was special for the computer science world – it was Computer Science Education Week (CSEdWeek). CSEdWeek always falls around December 9th, the birthday of the legendary Admiral Grace Murray Hopper, in recognition of her amazing contributions to computer science. During this week, Symantec partner Code.org encourages students around the world to try one hour of coding. 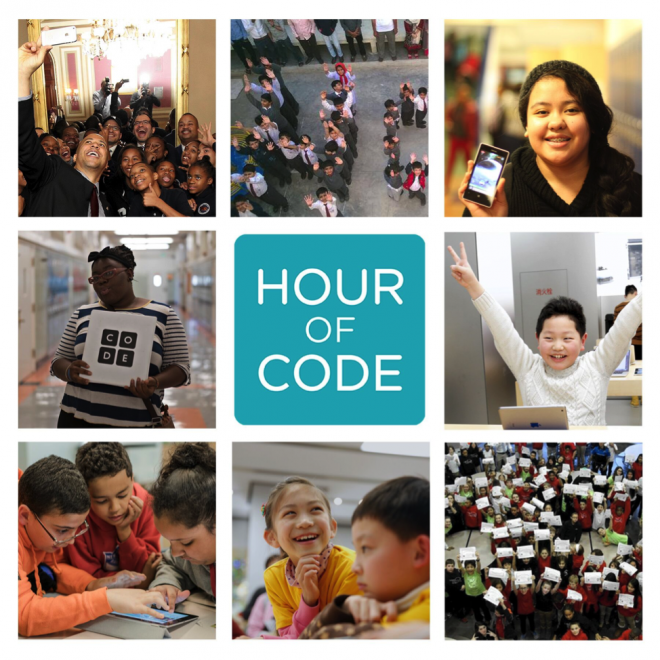 This annual Hour of Code campaign is a global movement reaching tens of millions of students in 180+ countries. Code.org has several one-hour tutorials in over thirty languages and for all ages (all the way up to 108! ), including a Star Wars-themed tutorial where you can build a galaxy with code. Anthony Flaviani, Symantec’s Senior Director, Security Education Services, used his Hour of Code to volunteer with students, discussing the "dark side" of coding and introducing some basic security awareness concepts. Only one in four schools teach computer programming, so most students are not exposed to computer science. CSEdWeek and Code.org want to change that by inspiring students to take interest in computer science and encouraging parents and teachers to support computer science education. This year’s Hour of Code was the biggest one yet. Over 190,000 events were registered worldwide, reaching over 50 million students!